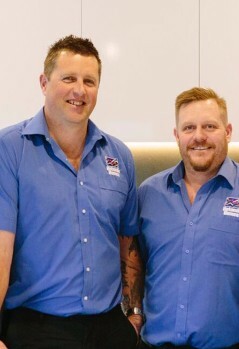 Local builders of choice, Adrian Willingham and Brenton Simpson are the builders you can trust. 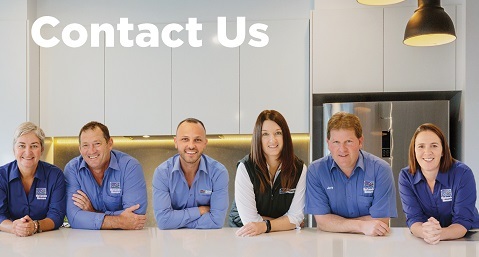 With over 25 years of experience, Adrian and Brenton are your ideal local new home builders. 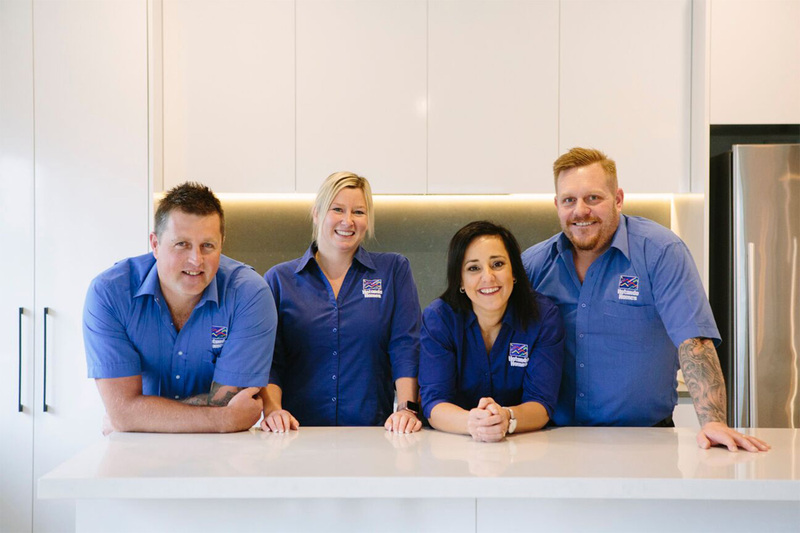 Starting Hotondo Homes Ballarat in 2012, the pair have established themselves as the builders of choice for clients in Ballarat and surrounding areas, including Ballan, Creswick, Skipton and Daylesford & Maryborough. 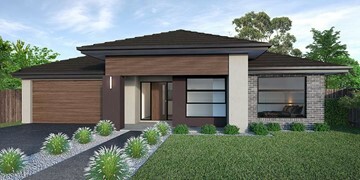 Hotondo Homes Ballarat provide quality services and flexibility to allow clients to design their perfect dream home. The team share the journey with their clients and support them throughout their entire build process. 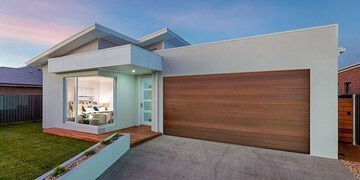 If you are after a local builder who can offer the best house and land packages, use local tradesmen, and have a range of home designs for you to choose from, then Hotondo Homes Ballarat is the right choice for you. 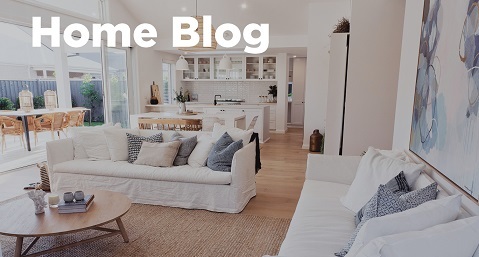 Their team of experts are always professional and offer personalised services and great attention to detail to ensure you have the home you've always wanted. 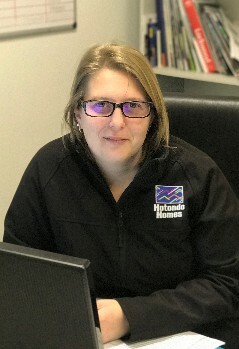 For more information or to discuss your building queries, contact Hotondo Homes Ballarat today. 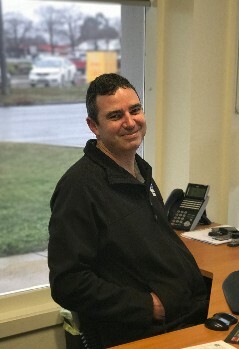 James is one Hotondo Ballarat's friendly and helpful sales consultants and will help you through your inital enquiry process. In his spare time, James is a bit of a gym junky, loves racing anything with a motor, and plays way too much PlayStation. If you can't find James in a gym repetitively picking things up and putting them back down; he'll either be driving around in circles or shooting imaginary aliens. As one of our Sales Consultants, Steven will work with you through choosing the perfect design to suit your needs. From sales, to pricing, planning and even design choices, Steven is your man! A bit of an adventurer, Steven enjoys camping and four-wheel driving as well as going out for dinner at local eateries. He is also our local TV expert when it comes movies and TV series! Pop in for a chat with Steven whether it's about your building query, or the next hit movie! Lisa is our Finance Manager and is responsible for ensuring all building permits are in order. In addition, Lisa also works within the admin area of the business. A passionate Cats supporter, Lisa is often found at the footy with her daughter, Eve. The pair are also keen horseriders. Her son, Tyler is an avid basketball player, so Lisa and her husband Brenton are always out watching Tyler shoot some hoops. Lisa likes to wind down by reading a good book or watching Game of Thrones. 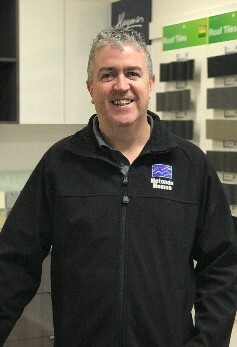 Adrian is one of the Directors of Hotondo Homes Ballarat and is dedicated to ensuring your home building journey is smooth and stress-free. A big fan of motorsports, Adrian loves tuning into the races and even heading up to the mountain on occassion. He and his wife Amira love their downtime and enjoy caravaning with their two children. The vivid St Kilda fan dreams he'll see the team lift a cup just once in his lifetime. 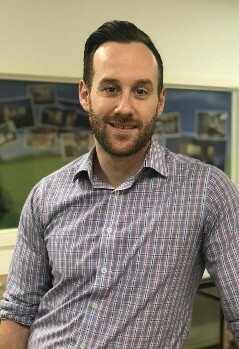 As one of our Sales Consultant, Brett will help you through all your new home queries including pricing and designs. Brett has worked with the team since its inception and will ensure you feel comfortable in discussing all your new home needs. Brett adores his Geelong Football Club. The footy fanatic is involved with a local football club and volunteers for Auskick. Feel free to come in and chat to Brett, whether it be about building a home or the weekend's footy results. 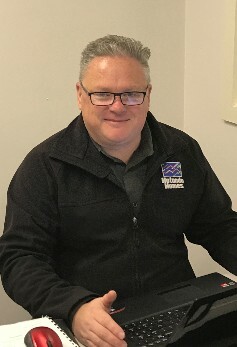 Mick is one of our fabulous building supervisors who has a wealth of knowledge and expertise in the building industy. When not giving our office a weekly problem-solving brain teaser, Mick spends his down-time with his wife, Chantelle and daughters, Hollie and Bella. In true builders style, Mick is often found outdoors with his family camping, hiking and water skiing – that's when his is not attending gigs as he is an avid music fan. 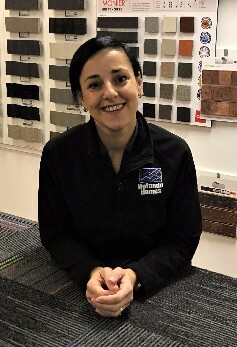 Known as our design guru, Amira is our Colour Consultant and will work with you through selecting all the items to make your house a home. She also works across sales, marketing and admin. Amira is our resident foodie and loves nothing more than trying different cuisines. She believes dessert should be at the start of each meal. But most of all, Amira loves spending time with husband, Adrian and their two children. 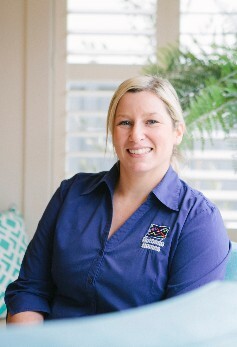 Known for her efficiency, Kristy is our Estimator and complements the team perfectly with her superb attention to detail. Kristy enjoys winding down with her son and their menagerie of pets including a Great Dane cross Ridgeback, who probably eats more than all their other pets combined! 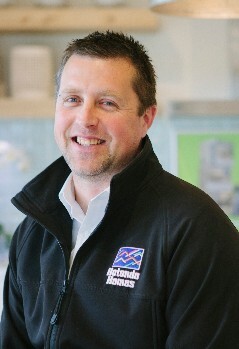 One of Hotondo Homes Ballarat's Directors, Brenton works to ensure every house becomes a dream home. 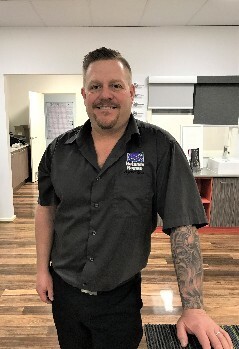 An avid car racing enthusiast, Brenton enjoys going along to the V8 supercars and spends his holidays in Echuca water skiing with his wife, Lisa and their two children. Brenton loves his footy and is a Magpies fan through and through, meaning he's not having a great time this year! 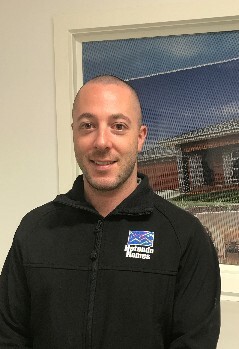 As one of our approachable and friendly Supervisors, Ricky will work with you during the construction of your new home. While he loves spending time with his family, Ricky lives and breathes football and can always be relied on for the weekend's results. Ricky is an aspiring marathon runner and with his determination and drive, he is sure to achieve this goal. David is one of our friendly and hard working Supervisors who is known for his great attention to detail. There's nothing more David loves than to head up to Palm Cove with his beautiful wife and children. David is a bit of a fitness fanatic and enjoys spending time with his family and their friends. As our Draftsperson, Nathan is best known for his thorough work and efficiency. Nathan enjoys playing tennis, but regularly admits he isn't very good at it! So instead, he likes to get behind the wheel of a go-kart or play video games with his sons. There's no better way he'd rather relax than winding down with his wife, Stacey. We are proud to support the Midland Bowels Club and are commited to helping the club grow. 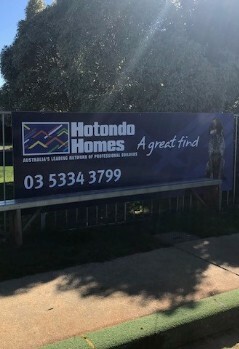 Hotondo Homes Ballarat and Learmonth Football Netball Club have a fantatsic partnership and we are proud to be sponsors of Victorian country football. 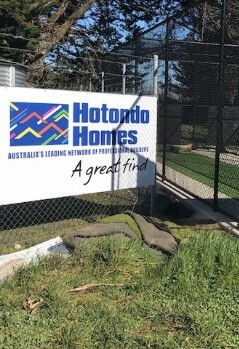 Adrian, Brenton and the team at Hotondo Homes Ballarat pride themselves on supporting the local area and surrounding communities. Make-A-Wish® Australia – Hotondo Homes is a proud partner of Make-A-Wish. 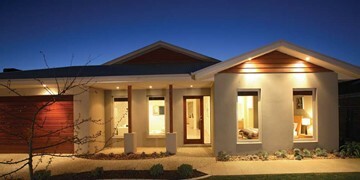 Hotondo Homes Ballarat also work with and provide support to the local Make-A-Wish branch. 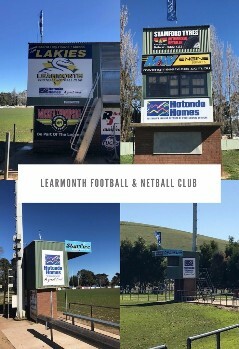 The Learmonth Football and Netball Club – a proud annual sponsor. The Ballarat Swans Football and Netball Club – a proud annual sponsor. 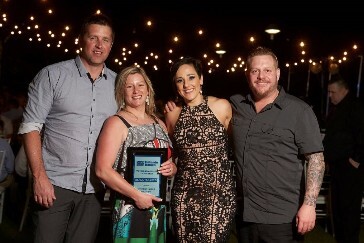 Hotondo Homes Ballarat were extreamly proud to once again recieve the for the the VIC/SA/TAS Professional Builder of the Year award at the 2017 National Conference. It is extremely rewarding to be recognised in this catagory. 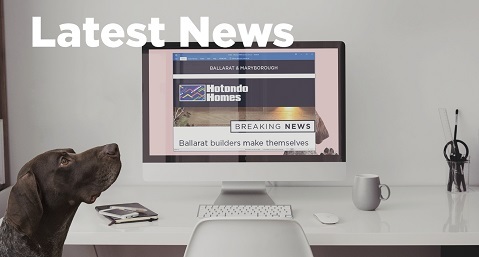 "We had a great experience building our home with Hotondo Homes Ballarat. We were kept up to date with information and processes involved from when we chose to go with them until the end. The sales team were friendly and answered all of our questions in a timely manner. Almost everything was in great form when we moved in and our site manager fixed an issue we had a few days after we moved in, which was great. The 12-week follow up was booked in for us and the service provided by them was above and beyond! We are very happy with our house and the whole process as first home owners/builders." 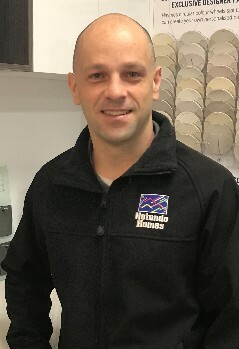 "The team at Hotondo Homes Ballarat were very helpful and accommodating. They are a very flexible and good quality builder!" "Our house commenced construction on the 28th July 2016 and we moved in on the 17th December 2016! 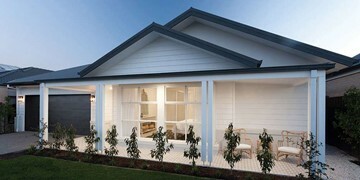 Hotondo Homes Ballarat were wonderful to deal with. Our home is absolutely stunning. Our building supervisor, Matt, was fantastic. He kept us up to date on all aspects of the construction. Hotondo were a pleasure to deal with, and if we built again, we would definitely go back to Hotondo Homes Ballarat. " "It was an easy, stress free build. Very happy with the end result. " "Our experience with Hotondo Homes has been fantastic from the planning stage to the end stage of receiving our keys. 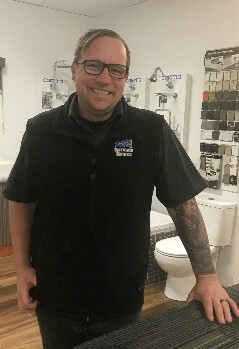 Brett - the salesperson we started with - was so patient and very helpful in getting our plans completed to our specifications. Nothing was a problem and he came out many times after hours to confirm plans and changes to ensure that all was to our satisfaction so we cannot thank him enough. Matt was our site manager and once again the most patient and informative person. He always took the time to keep us informed at every stage and always listened and took action with any of our concerns. Many times he took calls from us after hours and has even done so on one occasion since we have moved in. It was so welcoming to walk into our new house to find a gorgeous hamper and some beautiful flowers to celebrate our new home. We found everyone at Hotondo Homes to be helpful and professional and we would not hesitate to recommend them on to others. 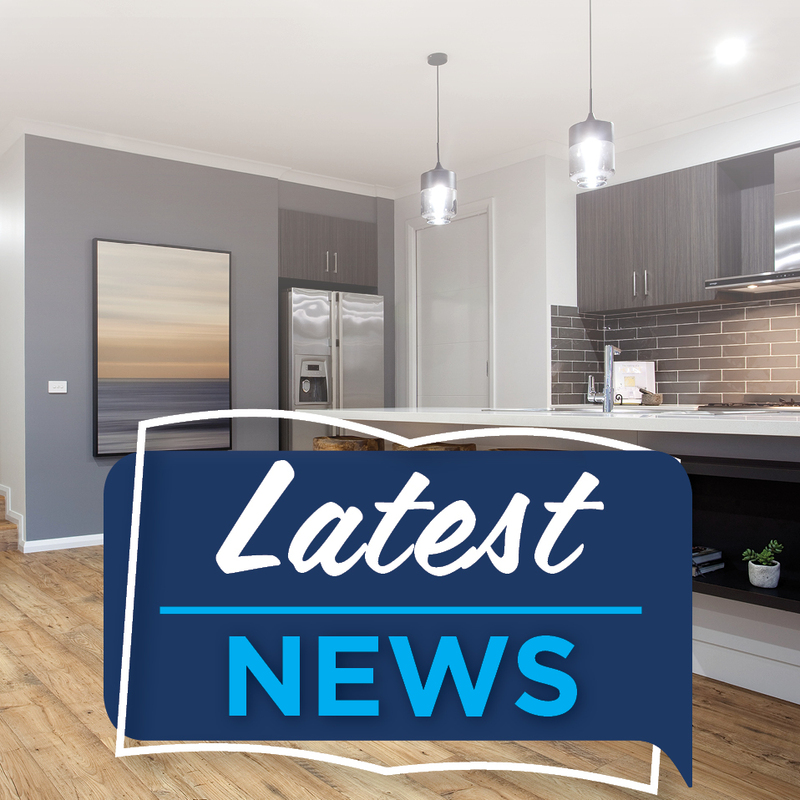 The quality of workmanship in our new home is second to none and we are so impressed that we are in the stage of planning our next build of an investment property. Thanks to the whole Hotondo Homes team for such a wonderful building experience!" 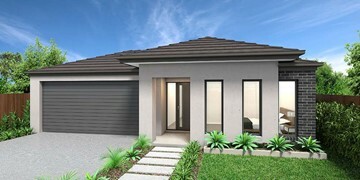 "We would like to thank Hotondo Homes Ballarat on the construction of our beautiful new family home. The whole team from the outset were great to deal with, very helpful with the design needs and pricing and we had wonderful assistance with choosing colours. The Ballarat team is very professional and we were very happy in all our dealings with them. Our building supervisor Matt was always available to us and he kept us up to date on the build. Matt was very professional and always did his upmost to make sure the build went smoothly. Our home was built well within the expected time frame and this was during a Ballarat winter! 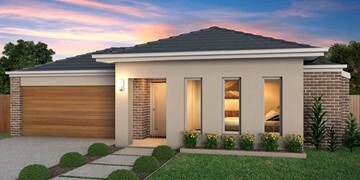 Thank you Hotondo Homes Ballarat, we are proud to say you built our new home!" "This was the first time my wife and I have built a new home, however we had researched for many years on what we envisioned for our new house. That is exactly what Brett and Hotondo Homes did for us. Nothing was ever too big or small and everything was taken seriously. The communication between Brett and Matt was consistent and never did we feel we were being taken advantage of or "persuaded" to change our plans. Thank you so very much for a smooth and relaxed journey and for delivering us our beautiful, dream home. A very special mention to Brett and Matt who were extremely helpful, took a personal interest in our vision, and who were very professional. We have recommended Hotondo Homes to all our friends and family and we will certainly build again with this magnificent and quality company. Thank you again." 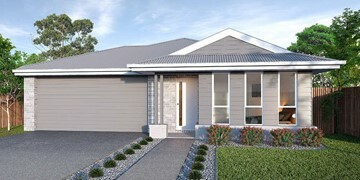 "Our build with Hotondo Homes Ballarat was great! They were so well organised the entire way through and very friendly to deal with. We did not expect our house to begin so quickly and from then on it felt like something new was happening to it every week. We were continuously updated throughout the whole build on what was happening week by week which was great! We are extremely happy with the final product! We will definitely choose to build with Hotondo Homes next time we build and we highly recommend them now to all our family and friends!"